Latest offering from KanwaMinerals.com; leading site for natural skin care products successfully harnesses the healing properties of organic clay, German Chamomile and Golden Seal to soothe irritated skin, itchy skin and redness. 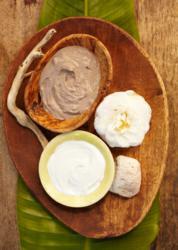 Unique properties of Kanwa Clay help provide fast relief for irritated and itchy skin. Derma Xtreme contains powerful herbs combined with a unique type of healing clay that helps balance skin pH allowing the skin to return to its natural, healthy state. 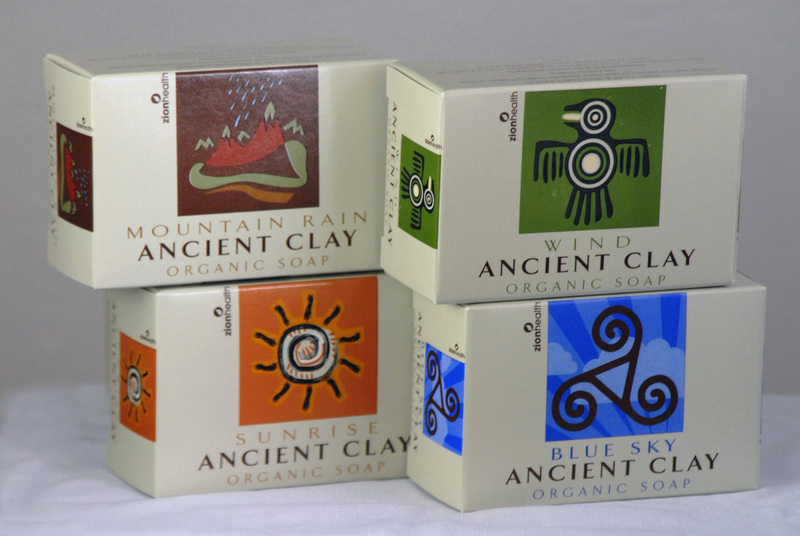 KanwaMinerals.com, a leading online shopping site where health-conscious consumers and industry professionals go to purchase high-quality, healing clay natural skin and wellness products, has just added a new item to its ever-expanding clay mineral body care line. Introducing a calming cream called Derma Xtreme, that is known to help heal the skin of unwanted redness often associated with rosacea, sunburn, rashes and insect bites. 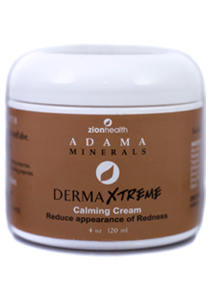 Manufactured by Zion Health and part of the company’s acclaimed ADAMA skin care line, Derma Xtreme Calming Cream successfully combines detoxifying minerals and fundamental healing properties found in a unique type of organic clay called Calcium Montmorillonite with several herbs that all work in unison to prevent skin redness, add moisture and restore critical pH levels. Available at Kanwaminerals.com, Derma Xtreme Calming Cream is a quick-absorbing formula that helps reduce redness on most types of skin conditions. In addition to Calcium Montmorillonite – the signature ingredient in all Zion Health products – Derma Xtreme Calming Cream is rich in healing nutrients and nourishing herbs that work to maximize skin wellness. Additional key ingredients include: German Chamomile, Golden Seal Extract and Canadian Willow Bark. The medicinal use of chamomile dates back thousands of years to the ancient Egyptians, Romans, and Greeks. Chamomile has been used to treat a variety of skin conditions, including: psoriasis, acne, and eczema. Studies have shown that German Chamomile reduces inflammation and expedites wound healing. Test-tube studies have also shown that chamomile has antibacterial, antifungal, and antiviral properties. Other significant ingredients to skin wellness that are found in Derma Xtreme Calming Cream include: Organic Sunflower Oil, Certified Organic Aloe Vera Gel, Jojoba Oil, Beeswax, Shea Butter, Borage Oil, Myrcia (Brazilian Rainforest plant), Colloidal Oatmeal, Echinacea Extract and Flax Seed Oil. Kanwa Minerals strives to provide its customers with the purest, chemical-free skin care products available on the market today. All products sold on the site are 100% vegan, free of parabens, aluminum, sulfates, and are formulated using certified organic ingredients whenever possible. For more information, go to http://www.kanwaminerals.com.